Book ahead and get your culture fix at one of London’s most iconic arts performance venues, the Royal Albert Hall. 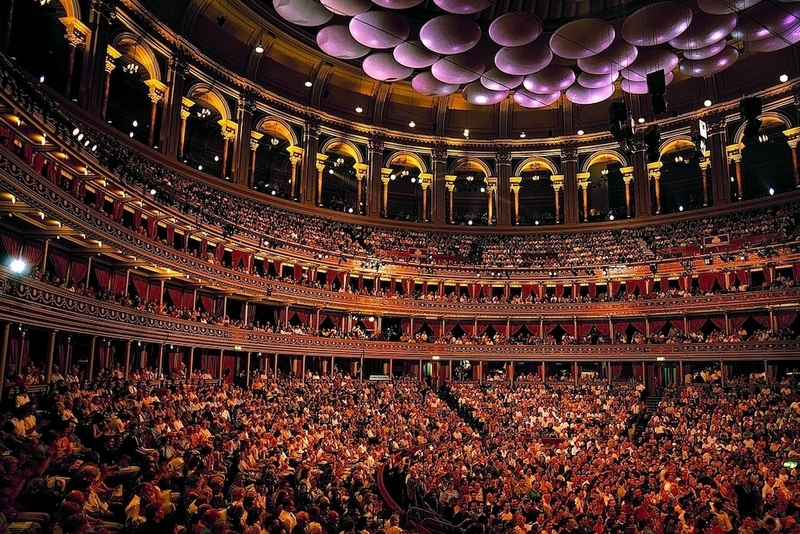 What’s On in 2019 at the Royal Albert Hall? The Royal Albert Hall is buzzing with all sorts of symphonic sounds. In their biggest show yet, this evening at the hall will see David Rodigan and The Outlook Orchestra showcase the music that David Rodigan has spent his career championing. Expect special guests too and musical surprises. As part of the Royal Albert Hall’s Unstoppable Season, soul artist Niji Adeleye is guest curating one of their Late Night Jazz evenings. The performance will take place in the grand Elgar Room and is the perfect setting for Niki Adeleye’s deep tones and rich sounds. The ultimate celebration of classical music comes to the Royal Albert Hall this March with a star-studded line up featuring music from Strauss, Vivaldi and Monti, performed by ensembles such as the Royal Choral Society, London Philharmonic Choir, violin soloist Thomas Gould and soprano Anna Patalong. Award-winning writer, comic, director and actor Aziz Ansari comes to the RAH this April as part of his Road to Nowhere tour. You might know him from his role in Parcs and Recreation, or from watching him do stand-up on TV, but seeing him perform is a must for comedy lovers. Aziz Ansari is astute and hilarious at the same time. Radio lovers will delight in joining Classic FM presenters John Suchet and Margherita Taylor for a wonderful evening of favourites from the world’s biggest survey of classical music tastes – so rest assured, you’ll definitely recognise a number of the pieces. The City of Birmingham Symphony Orchestra will be joined by the Crouch End Festival Chorus – conducted by Michael Seal – to perform a range of iconic pieces, culminating in a finale to the sound of Tchaikovsky’s 1812 Overture. Following a huge success for their 65th anniversary tour in 2018, The Drifters (cover band) are returning to the Royal Albert Hall to perform the band’s classic hits from the last six decades. The iconic American R&B vocal group are mainstays on Rolling Stone magazine lists and are behind huge hits like Stand By Me and Saturday Night at the Movies. The current line-up, hand-selected by former Disney executive producer and casting director Tina Treadwell, definitely do these legends justice. 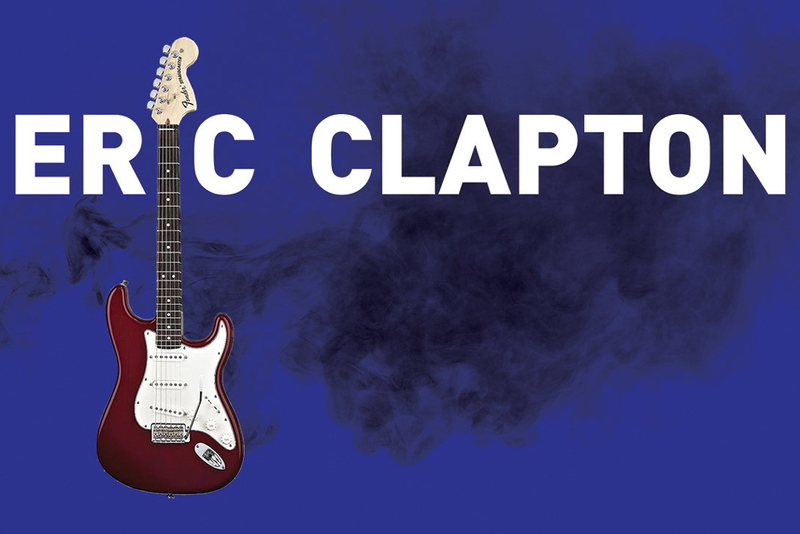 Rock legend Eric Clapton returns to the RAH for a series of concerts this year, following his 2-night stint at Madison Square Garden. Accompanied by his bandmates bass player Nathan East, Doyle Bramhall, drummer Sonny Emory and Chris Stainton, these 3 concerts will be the only UK performances he does this year – so get your tickets now! Make an occasion of it by booking into CODA by Eric Chavot, the Royal Albert Hall’s fine dining restaurant and bar. Michelin star-awarded chef Eric Chavot has created a menu of seasonal, French-inspired dishes to delight RAH ticketholders, who now make a ritual of heading there for an early supper before the evening’s entertainment. You can even order dessert and drinks which will be prepared in time for the first interval, so there’s no rush. With beautiful views of Kensington Gardens, the restaurant is located on the Rausing Circle and decked out with accents of lilac and grey, making it an elegant spot for a glass of pre-show champagne – but it’s worth taking the time to dine there. The prix fixe menu is extremely reasonable considering the quality of the cuisine. Highlights include the refreshingly tart sea bream ceviche to start and a delicately seared piece of Brill atop squid ink linguine in a mustard velouté. 2 courses for £37.